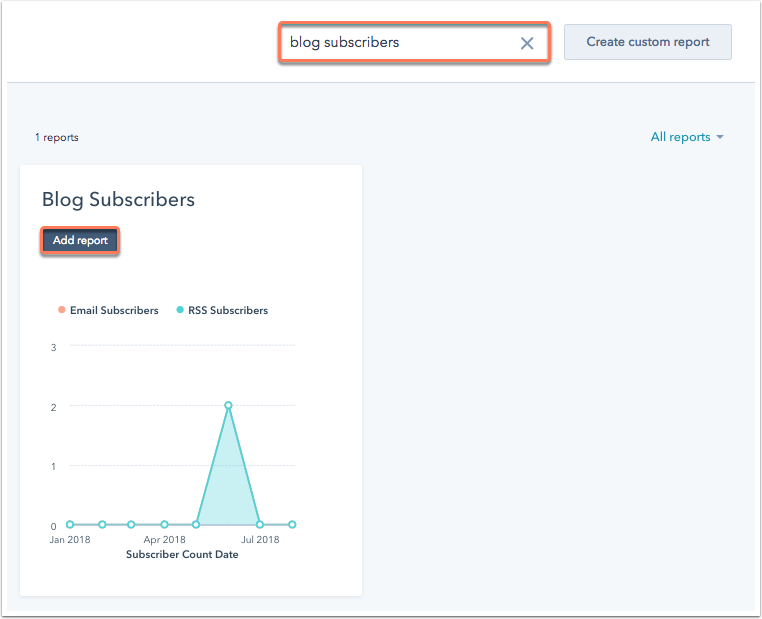 The Blog Subscribers report shows your number of blog subscribers in a given period of time broken down by Email Subscribers and RSS Subscribers. In the search bar, enter blog subscribers. Hover over the Blog Subscribers report and click Add. Hover over the report and click Edit report settings to edit the Date property, Date range, and Frequency.